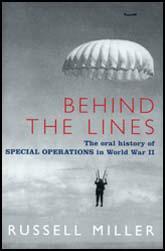 In 1942 the SOE decided to establish a new network in and around Paris. Called Prosper it was to be led by Francis Suttill. Two French women, Yvonne Rudelatt and Andrée Borrel was parachuted into France to prepare the way for Suttill who arrived on 1st October. A wireless operator, Gilbert Norman arrived in November and a second operator, Jack Agazarian, arrived the following month. Francis Suttill arranged with the Special Operations Executive in London to drop arms and explosives to be used by the French Resistance. On 12th June Yvonne Rudelatt was sent to Neuvy to receive the armaments. Several of the containers exploded and several members of the reception committee. A local farmer reported the incident and as a result 500 members of the SS were sent in to search for the special agents in the area. On 20th June 1943, Rudelatt returned to the area to pick up two new SOE agents, Frank Pickersgill and John Mcalister, who had just been parachuted into France. They were stopped by the SS and although they tried to race away shots were fired and Rudelatt was hit by two bullets before the car crashed. She was arrested and died in Belsen Concentration Camp two weeks before the war ended. Three days later three other key members of the Prosper Network, Andrée Borrel, Francis Suttill and Gilbert Norman, were arrested by the Gestapo. When Noor Inayat Khan discovered what happened she reported back the disaster to the Special Operations Executive in London. Messages from the wireless owned by Gilbert Norman were still being sent to the Special Operations Executive in London. Instructions were passed on to Bodington by the SOE to arrange a meeting with Norman at the address he had sent them. Bodington later claimed that he and Agazarian tossed to decide who should visit the address. Agazarian, who was convinced it was a trap, lost, and when he arrived at the address he was immediately arrested. Jack Agazarian was tortured by the Gestapo for six months at Fresnes Prison before being sent to Flossenburg where he was kept in solitary confinement. In the last few months of the war, Gilbert Norman, Francis Suttill, Andrée Borrel, Jack Agazarian and Noor Inayat Khan, were all executed. After the Second World War the interrogation of German officials provided evidence that Henri Déricourt was guilty of providing information to Abwehr and the Gestapo that led to the arrest and execution of several SOE agents including those in the Prosper Network. In November 1946, Déricourt was arrested by the French authorities but did not appear in court until June 1948. At the trial Nicholas Bodington testified that he had been in charge of all Déricourt's work in the field. He admitted that he was aware that Déricourt was in contact with the Germans but that no important information had been revealed. During the trial the defence council argued that although the prosecution could bring plenty of suspicious indirect evidence against Henri Déricourt, they could not actually pin any definite act of treachery on him. Largely on the evidence provided by Nicholas Bodington, Déricourt was acquitted. Ten days after Professor Balachowsky retrieved her luggage on a peaceful June night, he was arrested. During the following week, dozens of French agents were rounded up. In London, a signal was delivered to Maurice Buckmaster at Baker Street. It reported the destruction of the Prosper network. All the leaders and their equipment had been captured, and only one transmitter remained in operation. That was Madeleine, whose call sign ended the message. Buckmaster surveyed the area of disaster. He was to say later that Berlin security headquarters regarded the French network as the heart of the secret army that was most dangerous to the Third Reich. Now it was smashed. Buckmaster told Madeleine to get out of Paris; an aircraft would be sent to pick her up. The girl replied no. She was the only operator left in the Paris region. Without her, all communication would be lost. She could pick up some threads and reconstruct at least one circuit, if not more. Buckmaster made a hard decision. If the girl stayed, it could be only a matter of time before she was caught. Yet the catastrophe had left her as the most important "station" in France. He signaled approval, but warned her not to transmit. All Gestapo detection gear would be trained on her transmitter now that the rest had been wiped out. teacher, Henriette Renie, for instance. One contact led to another. She stayed briefly in different parts of the city, trying not to compromise those who showed hospitality. She had a bicycle and carried the transmitter with her. Despite Buckmaster's warnings, she began regular transmissions from the first week of July and she continued until October, when she was caught and taken to Gestapo headquarters. Suttill did not want to make any statement, but Gilbert Norman, who had not the integrity of Suttill, made a very full statement. Through Norman and through the documentary material available we received our first insight into the French section. (4) Report on an interview carried out with Robert Arend, the brother-in-law of Andrée Borrel, about the destruction of the Prosper Network on 15th May 1945. About 9.30 in the evening of July 19th 1943, while Arend was out meeting his wife at the station, Archambaud (Gilbert Norman) turned up at 12 Rue Champchevrier with three Germans in civilian clothes in an open car. Archambaud asked Arend's parents to give him the W/T set. This had never been properly hidden, because they had not found a suitable place to hide it, but Arend's father could only find four of the five parts, the fifth being put away somewhere. Arend therefore went to fetch his son, and told him he thought the Germans had been won over, probably by bribery, and were working for the Allies. Arend returned with his father, to find Archambaud and two of the Gestapo in the house, the third Gestapo man remaining in the car. Archambaud and the Germans wanted to leave immediately but Arend pere offered them drinks and cigarettes. He then became more communicative and told them that his son was a refractaire. The Germans thereupon asked for Arend's papers, and took him away to verify them. Archambaud left with them. (5) Jean Overton Fuller, open letter to the makes of Churchill's Secret Army, broadcast in January/February 2000. (7) Francis Cammaerts was interviewed by Rita Kramer for her book Flames in the Field. Dericourt's passing of the mail, would keep the German forces in the north-west of France in a constant state of expectation of invasion there between the spring and the autumn of 1943, when they might have been used against the Allies on other fronts. Although they were unaware of it, as he sees it the weapons he and the other Prosper agents wielded were the lies that successfully protected the real invasion plans.